A spacious dog- and family-friendly tasting room loaded with board games, puzzles, and brain-teasers. 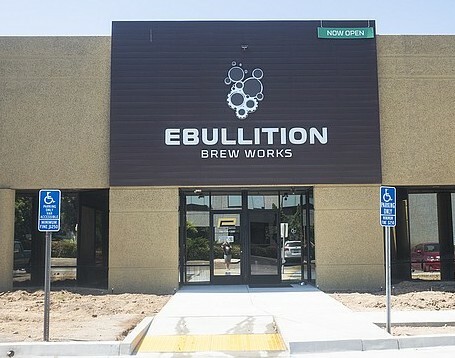 A mural offers a dictionary definition of the term ebullition describes is as both the brewing stage of "boiling wort and hops together," and "a sudden burst or display of passion and energy." Saturday, May 25, 6:00 p.m.
Friday, June 14, 7:00 p.m.
Saturday, June 15, 6:30 p.m.
Saturday, July 27, 6:00 p.m.
Wednesday 3 p.m. to 9 p.m.
Friday 3 p.m. to 10 p.m.
April 30, 2018 @ 6:55 p.m.
April 3, 2019 @ 6:38 p.m.